I hope that you don't laugh at my English, I assure you that in Italian I write better. Humor apart, I want to make to climb you on a mountain, making to believe you to climb on a waterslide. Questions: is it possible to measure the vibrations of a sword? is it useful to know this? If it is not useful whether to give so much importance to the point of impact? Center of Percussion (CoP). If it is true that a sword is the harmony of so many things, also the vibrations reenter in this. You help me to build an utensil that verifies the vibrations. Vibrational properties of swords have been discussed many times. In our spotlight topics you can find several threads in the "Dynamics, Properties, and Performance" section that deal with this. I think I have read. measurements but I do find very empirical. I want to measure them accurately. There are tools to do this. But if I make a pendulum, which simulates the impact of a sword, when it must be his weight? Questions: is it possible to measure the vibrations of a sword? It is possible, as described in the feature article. It's true that the precision is not great, but it's plenty enough for our needs. is it useful to know this? You'll learn also that the term CoP is inaccurate and should not be used with that meaning at all. If you're interested in the mechanical properties of swords I'd urge you to try and look into the properties of the mass distribution first: mass, center of gravity, moment of inertia. These are some of the most important properties related to the sword's function. Vibrations are visually entertaining but are secondary in my opinion, especially if you wish to take the scientific approach with accurate measurements and objective assessment. If you really want to do that, I think one of the most promising method would be to play with resonance. If you manage to fix a vibrating device to the pommel and vary the frequency of the vibrations, at the proper frequencies of the sword the amplitude of the vibration should get bigger. Once you have the vibrating sword it should be easy enough to take another tool to the blade to detect the nodes. With this method you should be able to measure even higher harmonic modes and not just the first. I have seen is very much appreciated your superb work. But I want to set a point. A sword is appreciated having it in hand and seeing how it behaves. Example: I do not care if the sword is a set of guard and pommel, or if it is built from one large piece with no parts added. What is important is to see how it behaves in combat. I do not want to do a mathematical model for the problem. There are too many things that work together. A large team of scientists we would like. Even you say. Then if you do not feel a need to establish, why you have done so much good work? I ask this without wanting to seem polemical. If only 1 mm difference for the entire length of the blade changes things a lot, you know this. If we use mathematical calculations, the average reader is bored, only few would follow the speech, I am not one of those select few. All these data do not tell me nothing, or rather, can be calculated before cutting steel, while mathematically correct but missed a sword over. What I want is a unique way to measure the vibration, with a shot that simulates a sword. You can help in this. This might be a different swords comparison of different measures. The resonance can destroy the system by the excessive accumulation of energy, only a matter of time. That is why I think that for vibrations the usual method is sufficient. The computations I have made about vibrations were more a game. Something I did because I wanted to learn simulation techniques, not to gain a practical useful knowledge of swords. The real useful (I hope ) computations that I have done are without vibrations at all. It is all those figures come from a CAD. If you want to help me create a list of the data they serve. I do not understand one thing. Download a high-impact vibration in the hand. My hand leaves the outlet. The vibrations have caused me pain. The secondary nodes are not important, it is important moment of inertia, and center of gravity. This is correct? Better explains the concept. Tell me why I feel strong vibration on hand. I believe that it is able to give you all the data. 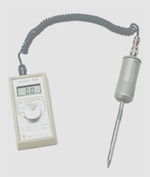 This also means that it does not serve to measure the vibration resonance it. I have some tools that measure these things. What I did not have microphones, amplifiers to prevent contact blade. Strobe light with adjustable frequency is normally used by me. I read all your posts, I agree to 90%. If our work will lead to an outcome, then for my part will be a joy to share with you all. It remains a fact however, the system calculates everything, but it is not so in reality. Heat treatment, hardness, watch assembly, assembly bone, ect. ect. approximated make the math. Certainly a good result from this directive, but it is not perfection. Now I go to sleep, here is deep night. Seriously, you seem to have enough knowledge to simulate the properties and motions without much help from others. A difficult aspect of these analyses is making assumptions about the sword motion. 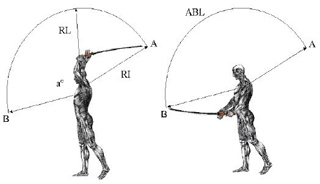 Most strikes are a combination of rotation with the wrist(s) as well as an arc of the arm(s). As such, any model of the physics is very specific to one particular type of striking motion while there are many motions to chose from. CoP tends to be a measure of pure rotation, assumed to occur at the guard. This is typically not where the center of rotation at the wrist(s) will be even if the sword is in a pure rotation (Zornhau or similar). If truly concerned about hand shock, some other forms of tests and measurements may be useful. I would suggest suspending the sword at a location neutral to impact in cases of uniform cross section geometry (CoG) and striking the blade at several different locations both against the edge and the flat. With an accelerometer or similar vibration measuring device you could determine points of maximum and minimum reactions to the impacts. This may be more meaningful in terms of perceived reaction forces through the grip, and resulting vibrations that could result from variable motions and impacts. your ideas will be much help. I completely agree. I will now begin to establish some concepts. At what speed will move the pendulum? For now suppose that the impact at 90 ° with the target. Proper execution of a slash. The speed you need to break a bone against a rigid barrier is 10 km / h.
Now we know that this speed must move the pendulum. Art of using the Sword than on most other subjects." In the Middle Ages the technique and strength meant life or death. As James.Fox suggested, an experienced cutler often can "empirically" tweak furniture and blade length/profiles to eliminate obvious singing (like a bell) while achieving compromises to maintain stiffness, and make handling suit a customer's preference and style. Despite the use of computer aided design and milling machines, years of study, and careful evaluation of possible "golden sections" and proportions of actual historical swords perceived to be good, some of our preferred reproduction companies still mention refinement of production models based upon experimentation with prototypes, and tuning experiments with furniture. Maurizio, in your case is it accurate that your assumptions for the problem sword statistics give your sword mass as around 800 grams (~1.8 lbs) with a blade length of 900 mm (a little over 35")? If so, I would question with caution the idea of heavy target cutting strikes made with massive strength. I don't know if this would be a saber, rapier or smallsword. But, instinctively the numbers sound more appropriate for a cut and thrust blade that was not meant for combat in mail armour, or for tree chopping. Is there any possibility that your test cutting is a mismatched application for the blade's style? The key question to answer, if you wish to simulate something, is why do this simulation? Truth to be told, there are so many factors at play during sword cuts, not related to the sword, that I doubt you could meaningfully optimize one property of the sword (for example get the optimal moment of inertia or node of vibration). Maurizio, in your case is it accurate that your assumptions for the problem sword statistics give your sword mass as around 800 grams (~1.8 lbs) with a blade length of 900 mm (a little over 35")? If so, I would question with caution the idea of heavy target cutting strikes made with massive strength. I don't know if this would be a saber, rapier or smallsword. But, instinctively the numbers sound more appropriate for a cut and thrust blade that was not meant for combat in mail armour, or for tree chopping. I think Maurizio gave stats for the blade alone. I do not really have numbers for bare blades of various types, but I don't think it's that light... Look at the CoG as well. As for the force, I said before I want to stress conditions of the sword to find the weaknesses. My friend turned to me to fix his sword. He says that the pommel must be repeated often. The cost of this sword is $ 500 second hand. The sword is an experienced cutler. I have to build an equal. I want to build a better sword, if this is possible. Its vibrations might release the handle and pommell. also be indicative of tension in the hilt. This is the motive for my interest for the vibrations and the resonance. See you soon, we will become good friends.